Slam Fighter v.1.3.0 – Text Overhaul! What are you thankful for, Slam Fighters? 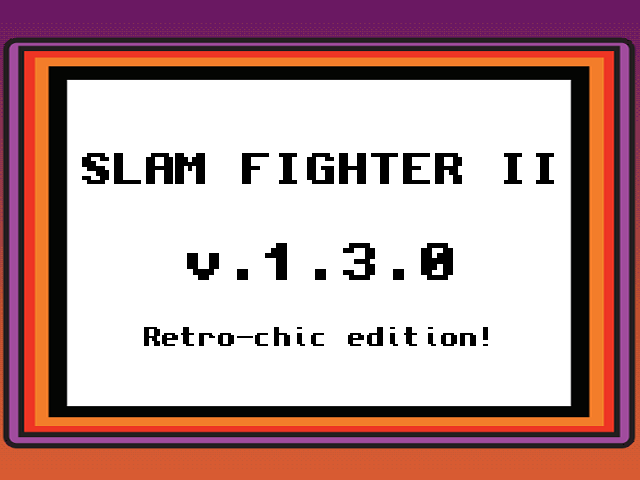 I’m thankful for a new build of Slam Fighter II, v.1.3.0! All text has been replaced to eliminate anti-aliasing and make the game look sexier than ever! Yeah I know, it’s just one thing, but this was a heck of an overhaul and I think you’ll really like the new look! Why don’t you give it a try right now? Slam Fighter v.1.2.1 – Oni-Con Edition!